A standard Unit of Access is defined for each service/technology within the Instruct-ERIC cataIogue. Multiples (and fractions) of units may be scheduled and charged accordingly. Consumable costs. The centre can claim up to €1100 per access visit or project. Travel and accommodation. If there is no other support available, a contribution towards travel and accommodation can be paid to the researcher of up to €400 within mainland Europe or €600 in Israel. Within this limit, eligible accommodation costs are capped at €80pppn. No subsistence costs will be reimbursed. Instruct will accept some flexibility in Consumable costs claimed per access. For example, where travel costs can be covered by other means, or no travel is required, the total amount of support funds (€1500) can be claimed against consumable costs, with justification. In the case of exceptionally expensive platforms, Instruct support may be extended to €3000. In all cases, the amount of support funding available from Instruct will be agreed before work commences. In cases where the access costs are in excess of the Instruct support available, the user may be asked to cover the extra costs from grants or other means. If, when undertaking Access work, it becomes apparent that more Access is required to achieve a satisfactory outcome, agreement must be obtained from the Instruct Moderator to fund the extra work through instruct, with approval from the service/technology to supply the extra access. If pre-approval is not obtained, the User continues at risk of incurring charges that will not be eligible for Instruct reimbursement. To receive Instruct funds for access consumables, each Centre should invoice Instruct-ERIC after the visit has taken place. Instruct may ask for justification for costs claimed. Users should book and pay for their own travel and accommodation for access visits. Costs will be reimbursed after the visit by providing Instruct-ERIC with the completed reimbursement form and receipts up to the maximum value by post (to Instruct-ERIC, Oxford House, Parkway Court, John Smith Drive, Oxford, OX4 2JY). For any other enquiries please contact admin@instruct-eric.eu. Academic scientists from Instruct-ERIC member countries are eligible to apply for funding for access visits to Instruct centres. Scientists from other countries may apply for access to Instruct-related infrastructure at academic rate or through other EC programmes (see below). For more information, consult Who can apply? iNEXT is a consortium funded by Horizon 2020 to offer European researchers access to a range of technologies including NMR, EM and X-rays for translational research. Researchers can apply for iNEXT funding by submitting a proposal in the same way as for Instruct, using the ARIA proposal system. 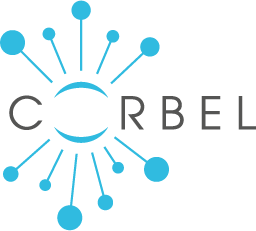 CORBEL is a H2020 funded project providing harmonised access to biomedical science research infrastructures for European researchers. 10 research infrastructures (spanning areas of biobanking, systems biology, imaging, functional genomics, curated databases, screening, structural biology, marine model organisms, clinical trials, translational medicine) offer access through the CORBEL 2nd Open Call. Projects must apply for access to at least two different research infrastructures. For more information see the CORBEL open call website. To apply to this call, eligible researchers should submit proposals using the ARIA proposal system.